Conflicts between the two countries do not seem to stop anytime soon, not even through diplomatic channels. Russia urged in the UN Security Council on Friday that authorities in Kiev to end punitive operations in eastern Ukraine, while the West accuses that Russia would be responsible for escalating tensions. 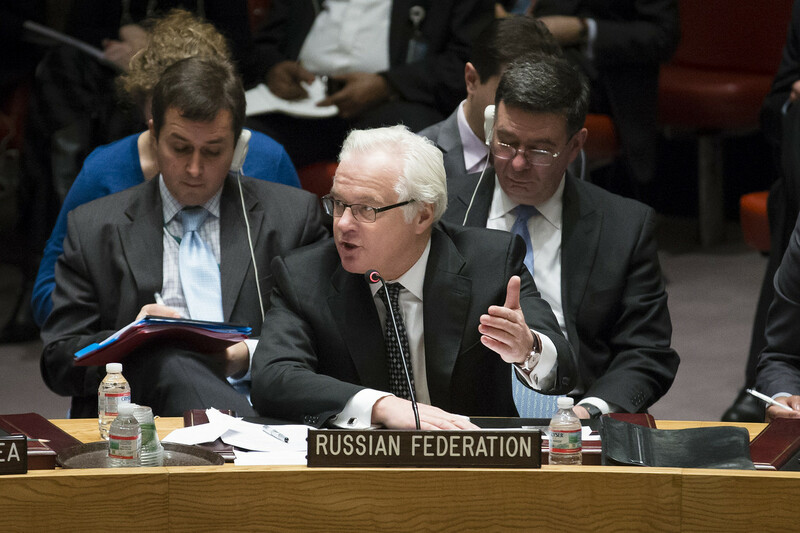 “We urge Kiev and his supporters (the West) not commit a fatal error and reflect on the consequences of his actions,” said Russian UN Ambassador Vitaly Churkin, who called an emergency meeting of the Security Council. Kiev authorities, he added, “must end quickly all punitive operations” conducted against insurgents who have taken control of several public buildings in cities in eastern Ukraine. On the other hand the French Ambassador Gérard Araud replied that “Russia is the one that need to take a step back. Ukraine tries to restore its sovereignty violated” accusing Moscow that acts as a “pyromaniac fireman,” said the French diplomat . 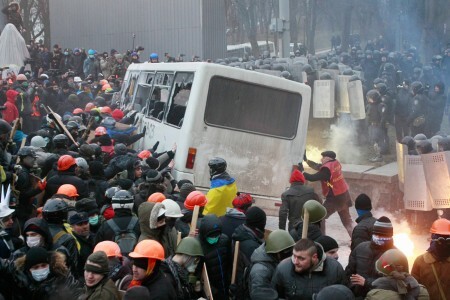 Kiev, he explained, has “decided to use the army and police against armed groups” that are not supported by the population. According to U.S. Ambassador to the UN, Samantha Power, the Ukrainian government does nothing to try to stop a paramilitary violence supported by Russia. “Their response is reasonable and balanced” in these circumstances, appreciated her. “There is no member of this Council table would remain silent if its cities were stormed by armed militants,” added the British ambassador to the UN, Mark Lyall Grant, denouncing “stunning hypocrisy” of Russia, ” which equips most repressive regimes in the world, including Syria. “ Sophisticated weapons used by insurgents pro-Russian “confirms that those professionals listed armed groups financed and equipped by Russia,” said British Ambassador. UN Secretary General Ban Ki-moon is very concerned by escalating tensions in eastern Ukraine and urges “all sides to show restraint overall,” said Deputy Secretary General to the Council for Political Affairs Jeffrey Feltman. Ban urges all to respect the sovereignty and territorial integrity of Ukraine. He complained and supported immediate release and unconditional OSCE observers that were detained by pro-Russian insurgents. According to the UN spokesman, Stéphane Dujarric, Ban decided to send Feltman on a mission in Moscow and Kiev this week “in order to advocate for a peaceful resolution of the crisis in Ukraine”. Feltman ’’will highlight to its interlocutors the need to return to diplomacy “said Dujarric. This were the 13th meeting since the Ukrainian crisis began.